Happy Tuesday! Good to be back. Tell your friends to get involved by signing up here. 🚨 Situational awareness: Cristiano Ronaldo was fined almost €19 million ($21.6 million) for tax fraud in Spain this morning but will avoid serving a 23-month prison sentence as part of the deal. Legacies changed on Sunday. 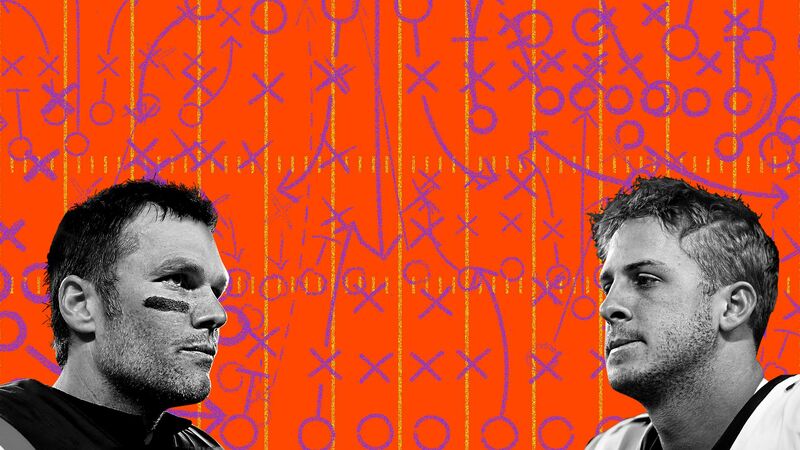 Drew Brees' championship window got smaller and may have closed; Andy Reid's quest to win his first Super Bowl fell short; and Tom Brady put even more separation between him and everybody else. The legacy of NFL referees changed, too, thanks to the blown call of all blown calls, which has generated so much outrage that the NFL competition committee has already said it will consider making pass interference calls reviewable for next season. The big picture: We've been here before (Dez Bryant's non-catch, etc), and there were also a handful of other missed/bad calls on Sunday. Yes, this most recent botch job will likely "usher in a new era, one with more technology and options designed as a fail-safe for egregious calls like this," as The Ringer's Kevin Clark suggests. But until referees are somehow perfect, missed calls will always be just another variable in the madness of football, and I don't see anything wrong with treating them as such. The bottom line: There's plenty of luck involved when a defender doesn't roll over a quarterback's ankle or when a player's knee hits the ground one inch past the goal line instead of in front of it. Couldn't we argue that there's similar luck involved in entering a competition and coming out on the winner's end of a botched call instead of the loser's end? Regardless of your answer, there's only one thing we can do now: move on. P.S. CBS says its primetime coverage of the Patriots-Chiefs game averaged 53.9 million viewers, making it the most-watched AFC Championship Game in 42 years. For reference, that's about three times as many viewers as the most-watched World Series and NBA Finals games last year. When the Baseball Hall of Fame reveals its new class of inductees tonight, Mariano Rivera, Edgar Martinez and more than 30 other former big leaguers will find out if they've earned entry into baseball's most exclusive club. The intrigue: If Rivera receives 100% of the vote, which FiveThirtyEight projects he will, the legendary Yankees reliever will become the first unanimous selection in the Hall's storied history. 1936: In the very first vote, 4 people passed on Ty Cobb and somehow 11 passed on Babe Ruth. "Vote counting stopped momentarily for a discussion on how anyone could leave the Great Ruth off of the list of immortals," the AP reported at the time. 1937-present: 3 voters passed on Ken Griffey Jr., 5 passed on Tom Seaver, 6 passed on Nolan Ryan, 8 passed on Cal Ripken Jr., and the list goes on (see more above). The big picture: "Over time, the absence of a unanimous inductee may have become self-perpetuating," writes the NYT's Victor Mather. "Some voters who believe Rivera is well qualified for the Hall may be tempted to vote no because they do not want him to be the first unanimous entry after players like Ruth and Mays fell short." Above: While you were sleeping, No. 2 seed Rafael Nadal defeated 21-year-old American rising star Frances Tiafoe, 6-3, 6-4, 6-2, to advance to the semifinals where he will face Federer-conquerer Stefanos Tsitsipas. 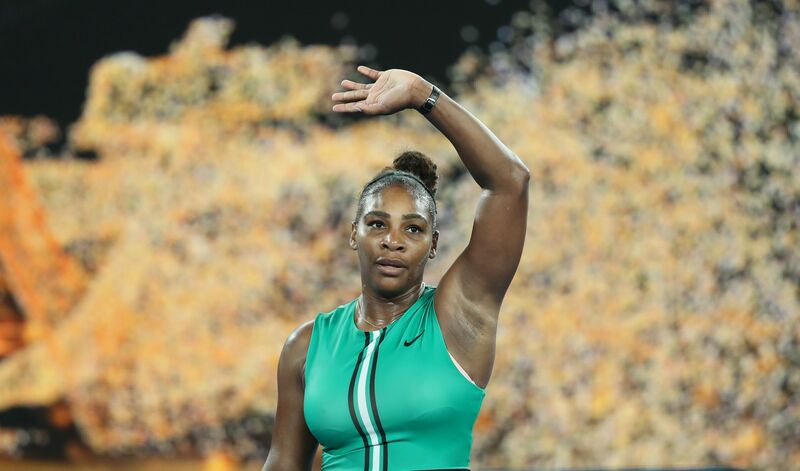 Below: Serena Williams waves to the crowd after defeating No. 1 seed Simona Halep, 6-1, 4-6, 6-4, to reach the quarter-finals where she will face No. 7 seed Karolína Plíšková (tonight, 6 pm ET). Nov. 14, 2001: "Harry Potter and the Sorcerer's Stone" (the first movie in the series) hits theaters. Dec. 19, 2001: "Lord of the Rings: The Fellowship of the Ring" (also the first movie in the series) hits theaters. About 6 weeks later: 24-year-old Tom Brady and the New England Patriots defeat Kurt Warner and the St. Louis Rams 20-17 in Super Bowl XXXVI, the franchise's first championship. In the 17 years since: The Patriots have won 220 regular season games (32 more than any other team), won the AFC East 16 times, gone 29-10 in the postseason and, of course, won five Super Bowls (and lost three). Since the day Frodo Baggins first entered your life, Brady has made more Super Bowl appearances (8) than any NFL team not named the Steelers, Cowboys or Broncos — and two Sundays from now, he'll surpass them all. 1. Tennessee (16-1): The Vols sit atop college basketball's throne for the first time since 2008 (remember their epic win over Derrick Rose and Memphis?) P.S. Tennessee has 0 top 100 recruits. Every other top 10 team has at least two. 2. Duke (15-2): Here's just how unstoppable Duke is: 25-point scorers allowed by Virginia through 16 games: 0. 25-point scorers allowed on Saturday: 2 (Zion Williamson: 27; RJ Barrett: 30.) Talent's talent. 3. Virginia (16-1): Even with the 2-point loss to Duke, UVA is still the best team in the country, according to Ken Pom. The Cavaliers will host the Blue Devils in the highly anticipated rematch on Feb. 9. 4. Gonzaga (18-2): The Zags are still cruising behind brilliant seasons from Brandon Clarke and Rui Hachimura. With no ranked opponents left on their schedule, they're a lock for a high seed in March. 5. Michigan (17-1): Wisconsin stole Michigan's chance at No. 1 in delivering the Wolverine's first loss since February 2018. They'll have a shot at revenge when they see the Badgers on Feb. 9, but the Wolverines are 5-17 against Wisconsin with John Beilein leading them. Thanks to one minor league hockey player's entrepreneurial itch, athletes could soon be ranking their agents like they rank their Uber drivers, writes Axios' Mike Sykes. What's happening: Calgary Flames prospect Josh Healey spent the summer building TheSportsAux, an app where athletes can rate and review agents/ advisors. It's been submitted to the App Store for review and should be available for download next week. How it works: Think Rate My Professors — but for agents. Players fill out 10-question surveys, rating them from 1 to 5 on questions like, "Does your agent follow through on verbal agreements?" Why it matters: For many young players, finding and dealing with an agent can be a struggle. Healey's app gives them the information they need to make smarter decisions. "To find an agent ... it's all word of mouth," Healey told The Athletic (subscription). "Someone knows some guy, who has an agent and he sets you up with them. If you like them, you go with them and if not, you keep looking." By helping players dig deeper, TheSportsAux aims to bring increased transparency and accountability to one of the places that needs it most — hockey's massive minor league system. 13 years ago today, Kobe Bryant scored 81 points — the second-highest total in NBA history — in the Lakers' 122-104 victory over the Raptors. Enjoy. Kobe post-game: "It just happened. It's tough to explain. It really hasn't set in. To sit here and say I grasp what happened tonight, I'd be lying." The 2019 J.P. Morgan Tournament of Champions is currently underway, with the world's top squash players going head-to-head inside iconic Grand Central Terminal. The TOC dates back to 1930 and has been staged in 17 different cities including Boston, Detroit and Toronto. In 1999, the tournament moved to Grand Central and has remained there ever since. The backdrop: Squash has some 20 million players worldwide and was almost added to the 2020 Olympics (lost out to wrestling). Egypt is dominant, to say the least, with 5 of the top 10 men and 4 of the top 10 women in the world. Domestically, squash is primarily played on the coasts and driven by a growing college squash scene. Fun fact: Trinity University's men's squash team won 252 straight matches (and 14 straight national titles) from 1998-2012, the longest winning streak in college sports history. Go deeper.